Outspoken teacher Bill Nave has focused national attention on a revolutionary new program at River Valley School, in Turner. By Patrick Morris. Although his inventions malfunctioned and his books went unread, Squire Jonathan Morgan was one of Portland’s most unforgettable Victorians. By William David Barry. Hey, Wanna Buy a Used Railroad? After 120 years, the City of Belfast is reluctantly putting the venerable old Belfast and Moosehead Lake on the block. By Jeff Clark. In a verdant Camden backyard, scores of bright blooms salute the season. Photographs by Kevin Shields. With a ballroom in the attic and a swimming pool in the cellar, shipbuilder John S. Hyde’s Bath estate was Maine’s most magnificent mansion. By Earle G. Shettleworth, Jr. 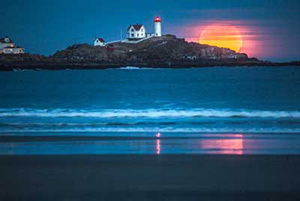 Living year round at a lighthouse prompts a photographer to consider life on the coast of Maine in a new light. Photographs by Thomas Mark Szelog.  Specialty sauces in Bremen, children’s clothes in Nobleboro — two more success stories from the Pine Tree State. 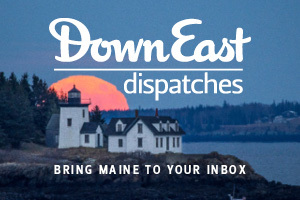 May is bargain time in this southem Maine resort town, renowned for its beach, spectacular cliff walk, and assortment of accommodations and restaurants. A Guide to Summer Pleasures Afloat, an annual twenty-four-page supplement by the Editors of Down East. An electronic writing machine, with all of its glow and mechanical volatility, is not, in the first instance, a creative device and it may even be counter-creative in that the big screen and the fascinating juxtaposition capability of words, phrases, and sentences are quite likely to be diversionary. By Caskie Stinnett. 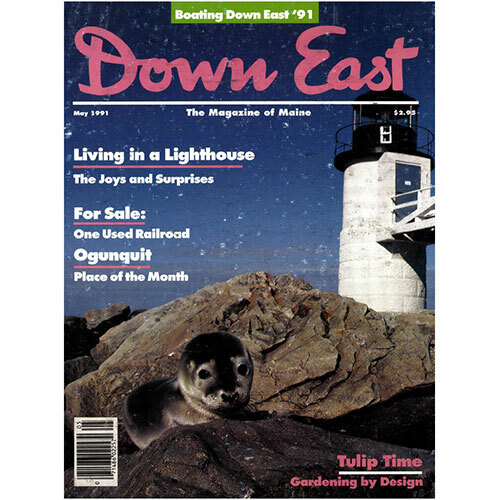 Cover: Seal pup at Marshall Point Light, by Thomas Mark Szelog.